Baroque lecturn carved out of mahogany, marble and jaspar. 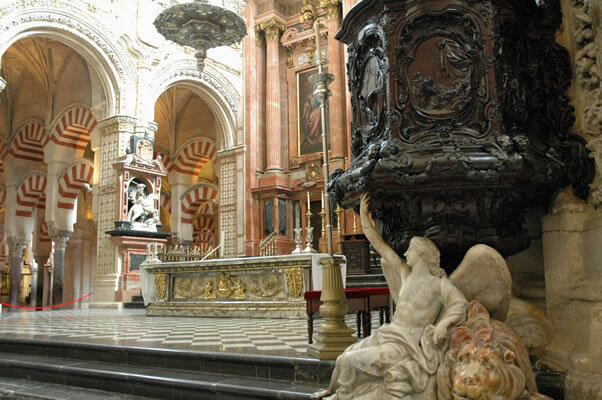 High altar of Cordoba Cathedral in background. See also: Pulpit.